Sparkling white zirconia are encrusted on the two Trinity knot shoulders, which create the setting for the emerald-cut green zirconia center. 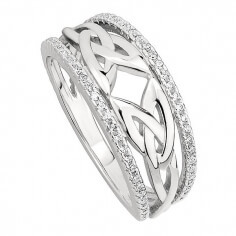 Handcrafted from Sterling silver in Ireland by experienced artisans, each ring is the tested and hallmarked by the Dublin Assays Office - your mark of quality. 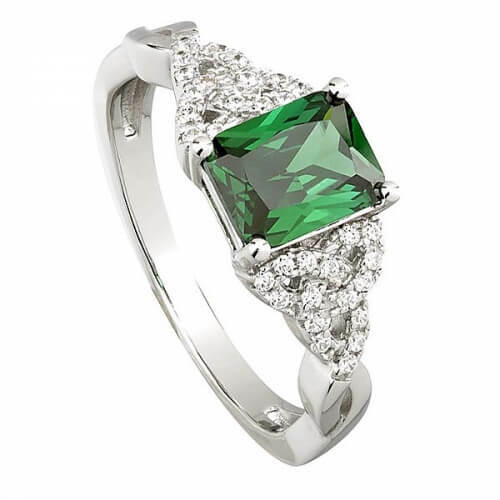 A ring for any occassion, the Trinity knot ring with green CZ is delivered in a luxury presentation box. 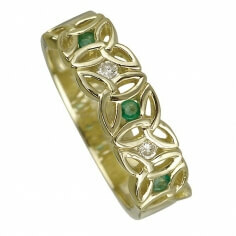 Order in advance, as all our rings are handmade to order.